Northern Oak, a band based in Sheffield, UK, hired me to create a cover for their upcoming album. After some research and some concept ideas i found a way to create something they’re very pleased with. 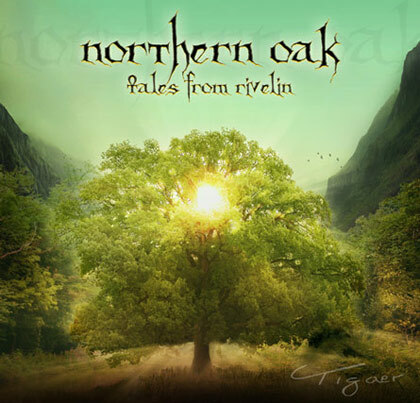 So what you see here is probably the final cover of their album ‘tales from rivelin’. Check out their myspace site to get more information about the band and their music. This entry was posted on Monday, August 13th, 2007 at 22:30	and is filed under General. You can follow any responses to this entry through the RSS 2.0 feed. You can leave a response, or trackback from your own site.